Located within minutes of countless museums, festivals, sporting events and experiences, it’s hard to decide what to do next! Discover our staff’s favorite attractions for a curated experience in Indianapolis. On April 18th and 19th, treat yourself to a night at the ballet and enjoy a full-stage production of Swan Lake. Tchaikovsky’s incomparable work has stood the test time and was the ultimate choice to close out the Indianapolis Ballet’s first full season. The performance will take place at the wonderful Toby Theater at the Indianapolis Museum of Art at Newfields, which is conveniently less than 10 miles from your stay at The Alexander Hotel. This venue is perfect for accommodating audiences of all types for a spacious yet intimate experience. Shows on Thursday and Friday begin at 7:30 p.m. and tickets start at $25. The Saturday matinee show is already sold out, so book your tickets soon to reserve your space at this masterpiece. Give these final performances a chance while you’re in Indianapolis, and see all of the talent and grace this great city has to offer. While staying at The Alexander this March, don’t miss out on Indianapolis’ thriving music scene by attending incredible performances all month long, including Kelly Clarkson’s “Meaning of Life Tour” on March 22nd at 7:00 p.m.
As a three-time Grammy winner and four-time American Music Awards winner, Kelly Clarkson is sure to have you on your feet and in awe as she belts her most ear-catching, iconic singles, like “Miss Independent,” “Stronger,” and “Because of You,” as well as a stunning show. Special guest performers include Kelsea Ballerini and Brynn Cartelli. You won’t want to miss this incredible night of singing and dancing to some of today’s best pop music at Bankers Life Fieldhouse. Tickets are on sale now and range in price from $35 per ticket to VIP packages with exclusive access to extras and different areas ranging from $159 to $399. Bankers Life Fieldhouse is located conveniently only 3 minutes from your stay at The Alexander. No stay at The Alexander would be complete without exploring some of the best culture and events Indianapolis has to offer at The Cabaret. Only 5 minutes from your accommodations, a true speakeasy experience awaits. A vast array of talented artists gather to perform at The Cabaret all year long, so the songs and monologues are always spectacular and unique. Cocktails and appetizers, like their delicious cheese and charcuterie platters, are available to enjoy while you settle in and experience the show. In the month of February, Gavin Creel will be performing on the 15th and 16th at 8:00 p.m. while Joshua Henry will take the lead on 23rd at 7:00 p.m. and 9:00 p.m. Tickets range in price based on the experience you wish to enjoy, from the $60 High Cocktail option to the $105 VIP option. Book your night out on the town today as tickets are limited and these captivating shows do sell out! The Alexander offers a cultural experience like no other hotel. Curated to reflect a desire for inspiration, we provide not just personalized luxury and convenience but works of art that surround guests in a world beyond the bedroom and lobby. 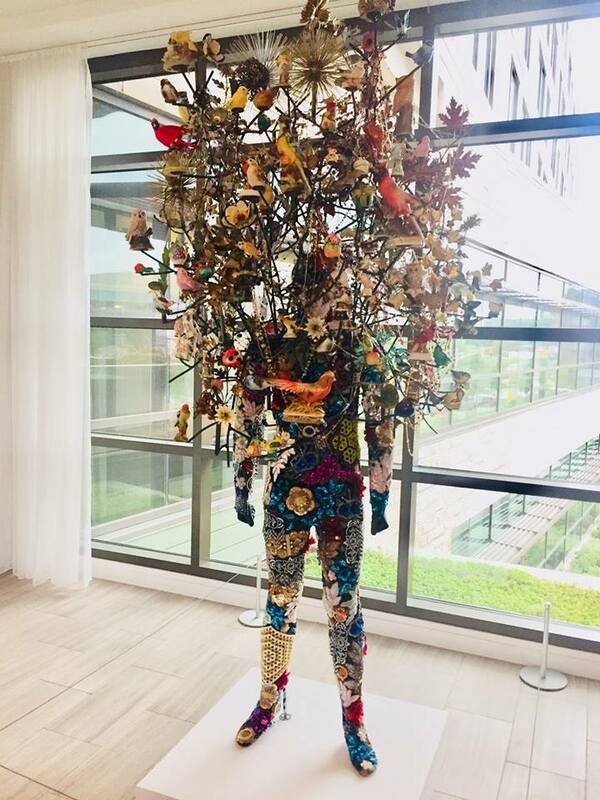 Recently, brilliant artist Nick Cave partnered with our hotel to share one of his latest pieces – a Soundsuit. Eight feet in height, this decorated sculpture is not only wearable but that’s its unique appeal. 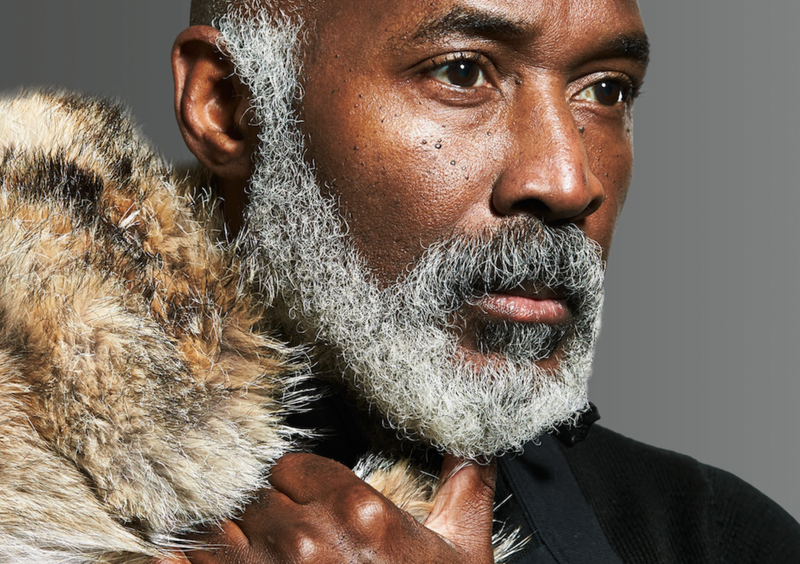 Cave’s Soundsuits obscure the wearer’s race, class, and gender, essentially, serving as armor from bias and bigotry to magnetize its audience toward a higher level of thinking about art and the world at large. Our team at The Alexander wants you to be a part of that experience, and our mission as an art-curated hotel continues with this awesome piece to reward guests with not just a fabulous stay, but a piece of creativity and consciousness to go home with. Every year, around Christmas time, the Indiana Historical Society hosts the marvelous Festival of Trees. Eight decadent and elaborately adorned trees are packed into the grand building of the History Center, with each tree decorated following a different theme. In the past, trees have been hung upside down, made from unconventional materials, and there has even been a virtual reality tree. This year, the Indiana Historical Society will deck out their 30-foot showstopper in an Indiana theme. On Nov. 20, Nov. 27, Dec. 4, Dec. 11, and Dec. 18, live musicians will play Christmas music among the lit trees. The festival of the trees will take place from Nov 16, 2018 - Jan 5, 2019, from 10:00 a.m. to 5:00 p.m. at the History Center. There’s no way that you can visit Indianapolis and not visit the Eiteljorg Museum. This history museum explores both Native America and the American West and is the only one of its kind in the Midwest. After years of slowly collecting art, and recognizing a general lack of Western Art and Native American Art museums in Indianapolis during the 50’s, businessman and philanthropist Harrison Eiteljorg opened the Eiteljorg Museum. At the Eiteljorg Museum, adventure is everywhere. Start outside where each season you can enjoy a new set of ethnobotanical explorations, discovering the wild and wondrous plants that bloom and learn how each of the plants is used. You will also stumble upon several sculptures works from a variety of Native American and American artists. This holiday season you can expect the annual Jingle Rails: The Great Western Adventure. Paul Busse and his team have recreated landscapes and landmarks of the American West and downtown Indianapolis and brought them to life in the Eiteljorg Museum, making a wonderful and magical opportunity to get into the holiday spirit and to snap a few photos. The Heartland Film Festival is Indianapolis’ oldest and largest film festival celebrates 27 years of film and fun, this October. Cinephiles delight! This annual film festival will leave you with a full heart and experiences of some of the best films out there right now. Founded by Heartland Film, a nonprofit arts organization, this 10-day film festival brings filmmakers and artist from all over the world to Indianapolis. Each year brings the promise of tons of latest and greatest animations, comedies, shorts, feature films and more. Several of the festivals past films have gone on to win or be nominated for Oscars. This year films will be screened at AMC Castleton Square 14, AMC Showplace Traders Point 12, and Newfields. The Heartland Film Festival will run from Oct. 11 - 21, 2018. Visiting Indianapolis during the Thanksgiving holiday? Be sure to catch the Circle of Light ceremony! Join over 100,000 people in this popular tradition as the Soldiers and Sailors Monument is lit, what some refer to as a “tree,” in Monument Circle, the heart of downtown Indianapolis. Join in the excitement of the holiday season as a local child helps the Mayor “flip the switch” to light up the more than 4,000 colored lights decorating the monument. The “tree” is surrounded by larger-than-life toy soldiers and peppermint sticks. Watch live performances by local talent, as each act is either a local celebrity or a local who auditioned to perform. A true taste of Hoosier Hospitality, don’t miss out on treats, a local tradition, music and the stage with Santa’s Workshop. When you visit the city for the Circle of Light ceremony, check out our specials for a great rate.